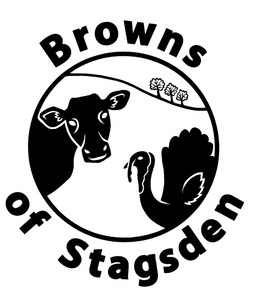 Situated in the middle of Stagsden, by the church, we sell award winning sausages, bacon & beef from home reared pigs & cattle plus home reared turkey and local lamb, all highly acclaimed by our customers. With a long history of producing quality Farm Fresh Turkeys for Christmas we opened our first farm shop in 2005 and are pleased to offer a full range of quality fresh meats and meat products all year round. We also stock local a wide range of local produce, including fresh vegetables. ​Following the extension & refurbishment of our premises in June 2009 we also offer home reared ham and a wide variety of cheeses from our deli counter.